Apple fell more than 3% Tuesday despite the company announcing a new iPad for education. The selling came as the broader market got whacked. 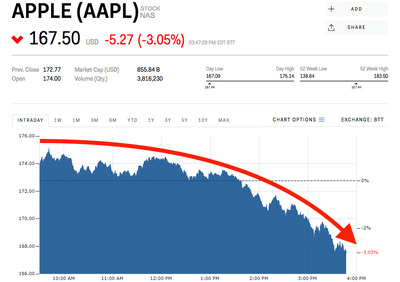 Shares of Apple fell more than 3% in trading Tuesday despite the company announcing a slew of new products geared towards education. The tech giant unveiled a new, smaller iPad that is aimed at teachers and students, which will support Apple Pencil and have upgraded Apple software like Pages and Keynote. The new device costs $US329 for consumers and $US299 for schools, much less than the current iPad lineup, and will begin shipping this week. 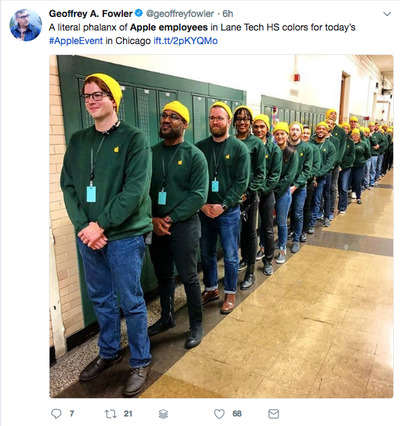 The event featured hoards of matching Apple employees, dressed like students and lined up in the hallways, as the company showed off the new devices to journalists. 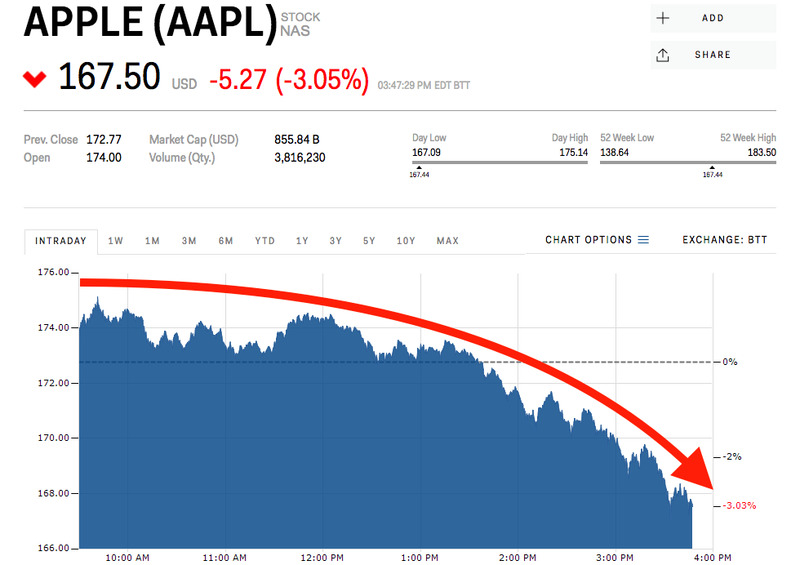 Apple’s losses come as part of a broader tech selloff Tuesday that included Nvidia,Tesla, Netflix, and Microsoft all falling at least 4%.